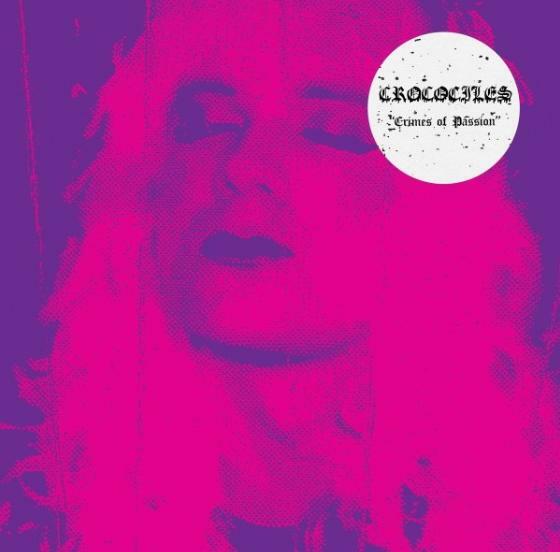 It's not just the title of this fourth album by Crocodiles that suggests they're a band with voracious carnal appetites. Just look at the song titles too: ‘Marquis de Sade’, ‘Like It In The Dark’ and so on. This continues from the cover of their last album Endless Flowers, which featured a naked man coming down a flight of stairs, flowers in hand, old chap tucked between his thighs, a rather randy look on his face. This time, though, they are not letting it all hang out and although the love flows fast and loose on the record, the pop tunes are tight, small and perfectly formed. It’s a mix of simple melody that wouldn’t have been out of place on the jukebox of a 50s diner, combined with pro-tool tech and a fuzzbox - a perfectly consummated marriage of British indie and Californian vibes. Originally championed by No Age, Crocodiles are a two man operation from San Diego, a town which may conjure surf and sand but where the reality is tempered by the grey rumble of the US Navy's F-18 Hornet warplanes. It's a heaving military base that’s rough around the edges but sunny overhead. Early track ‘I Wanna Kill Tonight’ suggested that alienation and boredom may have led Charles Rowell and Brandon Welchez to form their band, but now it seems as if they’ve managed to work out some of their frustrations in the bedroom rather than in the garage. Theirs is now a prettier, more embracing, yet still pleasingly abrasive sound. They wear their love of British indie on their short shirt sleeves. It’s Dixie Narco-era Primal Scream on opener ‘I Like It In The Dark’; later, happier Jesus & Mary Chain on ‘Marquis de Sade’, Ride on ‘Heavy Metal Clouds’, even The Charlatans on ‘Teardrop Guitar’. This yen for jingle jangle British indie makes Crocodiles contemporary bedfellows of The Horrors or Toy except with less lust for Loop-esque motorik and more for modern Californian pop like Best Coast. Overseen by Sune Rose Wagner of The Raveonettes, all the songs are so instant that it makes the album something of an onslaught on the senses - multiple listens will be needed for clear favourites to reveal themselves in a slow strip tease. So there's archly-titled break up song ‘She Splits Me Up’ with its dreamy Shangri-la-la-la chorus and ‘Virgin’ with its mournful refrain “If I was a virgin again”. Completing the hat-trick is ‘Cockroach’, the toughest and most garagey moment and the track that, rather aptly, suggests this is a band who aren't going away any time soon.